When I saw that Kanye released a video for his latest track ‘Only One’ I knew I should give it a review simply because I didn’t review the song. The track features Paul McCartney, but he would not be featured in the video. When reading YouTube comments to see what people thought about the video I saw that some people didn’t know who the hell Sir Paul McCartney was, which is disturbing, and went as far to say Kanye discovered him. The ignorance of this new generation. I’m not sure if it was sarcasm or if they were being serious. It could’ve been a combination of both. 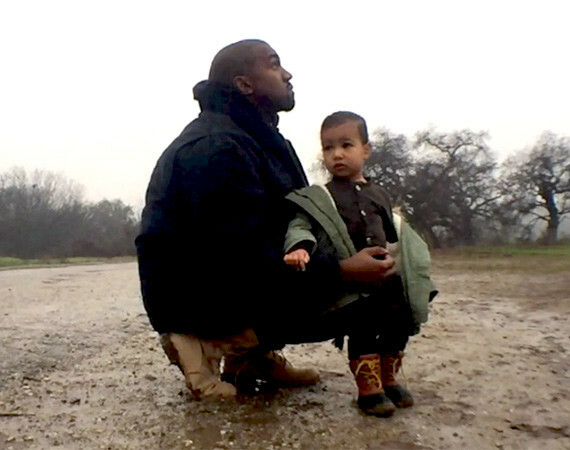 The video shows a different side of Kanye similar to the life he’s living now of very low key. I mean he’s never been in the limelight, but with a wife like Kim Kardashian it’s amazing how low key he can be. The video begins with him running/jogging down this empty road with some one recording him. The voices are distorted, but you can hear what is being said. The music begins and it’s auto-tune Kanye singing yet another tribute song which I enjoyed. Listening to the lyrics he’s speaking from his mothers perspective, the message he hears. In ‘Hey Mama’ he was talking to her now in ‘Only One’ she’s talking to him. Then North comes out in her cute little outfit matching her daddy’s swag and it’s just the two of them as the music plays. Overall the video was pretty basic and generic, but the song speaks for itself. This is the type of song where a video wasn’t needed, but I don’t think it was all that bad. Some might find it boring because it wasn’t over the top, but a personal song like this didn’t need be. It displayed his personality. Away from everyone with his daughter.